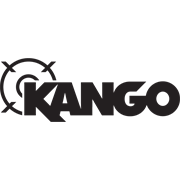 Transform your drill or impact driver into a high-torque impact wrench with adaptors from Kango. 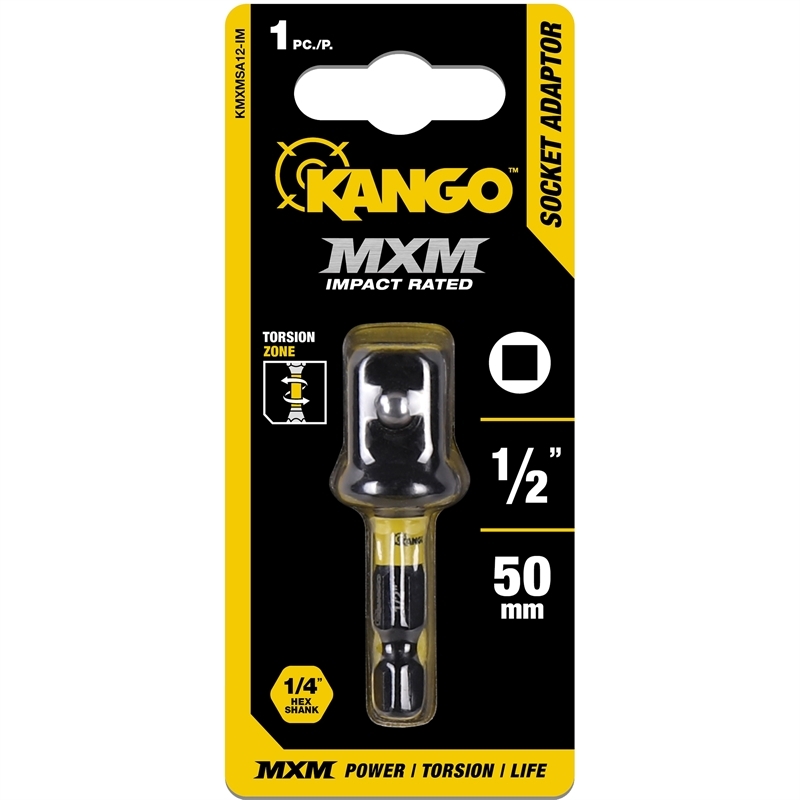 The Kango 1/2" MXM Socket Adaptor can be quickly added onto power tools to enable you to perform faster and stronger wrenching with impact-rated sockets. 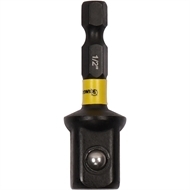 Engineered in a 4-stage heating process, the bit can handle extreme-torque applications, making it a reliable bit for any worksite. 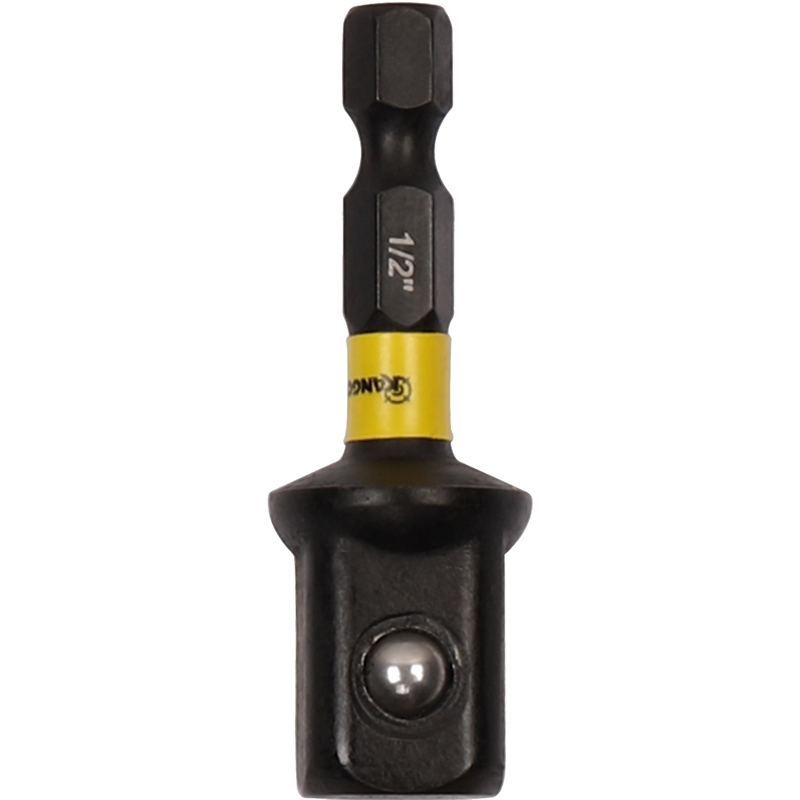 The unique MXM Torsion Zone absorbs torque peaks, providing powerful control and lengthening the bit’s life. 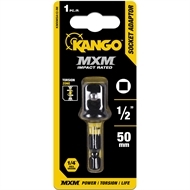 Increase the applications your power tools can handle by adding the 1/2" MXM Socket Adaptor to your toolkit today.